MADDOCK PETER GEORGE Passed away peacefully in hospital on April 7th, 2019, aged 97. The funeral service will take place on Wednesday, April 17th at 4 p.m. at St Stephen's Church, Theatre Street, Norwich. 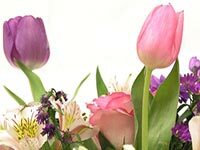 Family flowers only, however, donations, if desired, for Barnardo's may be made at the service or sent c/o Hellesdon Funeralcare, 40 Boundary Road, Norwich, NR6 5HZ.